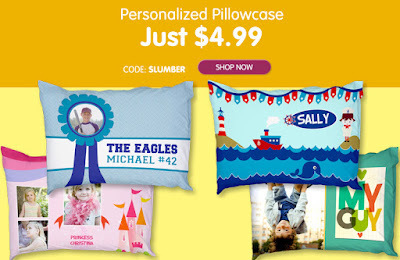 Personalized Pillowcase – Just $4.99 – Save $17! S&H Not Included. New Customers Only. 1 Use Of Code. Cannot Combine Coupon Codes. Exp. 11-20-2015. Standard Shipping: $4.99.